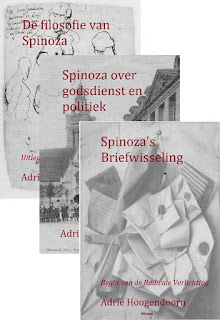 Call for artwork - "Spinoza beyond Philosophy"
Wim Klever, die het bericht weer had van Steve Barbone van de NASS, liet mij weten dat Beth Lord op zoek is naar een kunstzinnig ontwerp voor de cover van een boek waaraan ze bezig is: Spinoza beyond Philosophy. Hierna neem ik dat bericht over. Wie weet is iemand erin geïnteresseerd om zich aan een ontwerp te wagen. 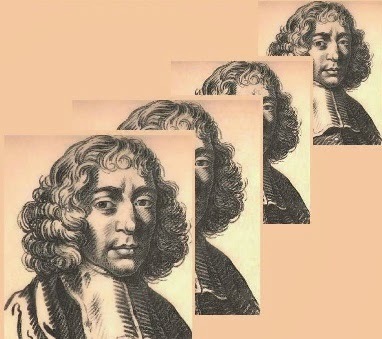 Merkwaardig vind ik dan weer wel dat deze vraag niet te vinden is op de website van haar eigen Spinoza Research Network, waarop weer wel vermeld staat deze Call for Papers: Beyond Spinoza. Artists, filmmakers, visual practitioners: Beth Lord is looking for artwork that could be used as a cover image for the forthcoming book, Spinoza beyond Philosophy, to be published by Edinburgh University Press in 2012. The book is a collection of essays based on the conferences held by the Network in 2010 and 2011. It explores and argues for Spinoza's relevance to questions of ecology, architecture, politics, textual studies, literature, history, and music today, and presents Spinoza as a thinker whose ideas have always been relevant for problem-solving across disciplinary boundaries. All the spoken papers can be listened to on the Network website. The cover should reflect the broad topic of the book. It need not include a picture of Spinoza. Contact Beth Lord if you'd like more detail about the book's contents. If you would like your artwork to be considered for the cover, please either email an image (if less than 10 MB) or send a weblink, to b.lord@dundee.ac.uk by Friday 27 May. All artwork submitted must be your own. The decision will be made between the Editor (Lord) and the Publisher, and the Publisher will need to fit the image to the cover design. The artist's name and the work's title will be acknowledged.